With the plethora of technological advances that we have seen over the past decade, many aspects of businesses’ operations have turned digital. This is important for not only the companies utilizing the internet to conduct business, but also the job hunters who are looking to gain employment with these organizations. Long gone are the days of printing and hand-delivering resumes to future employers – today’s job seekers are taking advantage of electronic resumes to apply for a wider range of positions in less time than ever. Although it may seem easy to create your resume and shoot it out to as many hiring employers as you can find, it is important to spend time focusing on your presentation. One of the biggest benefits of being able to send your resumes electronically to potential employers is the fact that it is simple to make small changes in order to cater to each potential employer. 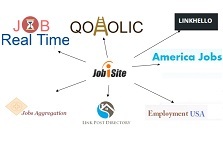 Utilizing the internet, doing research on organizations with job openings has never been so simple. By understanding a little bit about the corporate culture of these businesses you are able to maximize your chances of being hired by tweaking your resume to fit in better with their style. Preparing to apply to a company that focuses on renewable resources and clean energy? You may want to add past experiences or qualifications which may not be the same as what you would include for an oil and gas conglomerate. Just because you have the ability to deliver your resume to hundreds of employers on a single day through job engines like Wrangle.ca does not mean that it should be a process completed as quickly as possible. If you’re serious about landing a job, take the time to do it right. Although digital transmissions have become the new standard in business, don’t skip over the professionalism you would display if meeting with a hiring manager in person. When it comes to resumes, take the time to create an attractive cover page, and format your document to be as visually appealing as it would be if it were printed out, bound and hand delivered. Another mistake that job applicants frequently make in today’s technological age is that they fail to follow up with potential employers. Quantity is better than quality right? Not when it comes to landing a well-paying, desirable job. When sending resumes electronically, be sure to keep track of who you’re contacting and be dedicated to following up with them. This can be as simple as a follow-up e-mail or even taking the time to get them on the phone. Regardless of how impressive your resume is, getting a sought after job involves marketing yourself and standing out from the crowd. By following up after submitting your electronic resume, you can ensure your name stays fresh in the hiring manager’s mind. Taking the time to properly prepare and submit your electronic resumes can mean the difference between remaining on the hunt and landing an impressive job. Too frequently, the ability to mass e-mail resumes makes potential employees come off as un-impressive or even lazy to hiring managers. By making yourself stand out through your resume and follow-up, you can maximize your chances of getting called back for the position you really want. Edd Rennolls is an experienced freelancer who is passionate about working from home. Edd likes to spend his free time helping other people grow their careers and land their dream jobs as well.